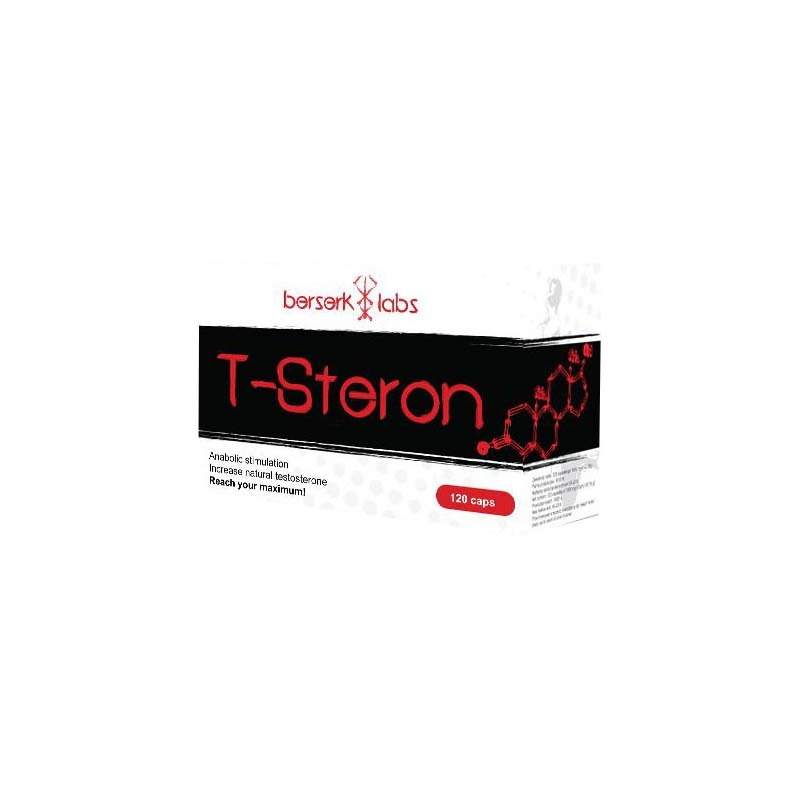 - Enhances the building of lean muscle mass and a positive effect on the libido! 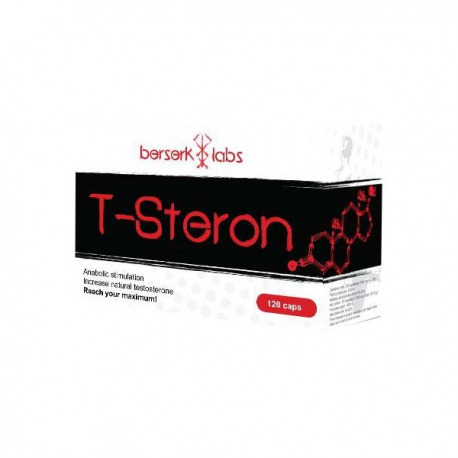 T-Steron - The most effective promoter of lean mass with which to date to meet! Is there anything else you can expect from this type of product? D-Aspartic Acid (DAA) is the newest natural testosterone booster on the market. DAA is the D-form of the amino acid aspartic acid. The body can produce DAA from the nonessential amino acid L-aspartic acid (the dietary form of aspartic acid). D-form amino acids, such as DAA, are found in higher concentrations in specific tissues in the body. For example, higher concentrations of DAA are found in the testes, pituitary gland, and hypothalamus all of which are areas involved in hormone production. One big difference between DAA and other natural testosterone boosters is there is actually scientific data in humans showing it to effectively increase testosterone levels. A study by Topo et al. showed that supplementing with 3 grams of DAA increased circulating luteinizing hormone (LH) levels by 33% and testosterone levels by 42% in men aged 27-37 years old. Further studies need to be done to examine DAA’s affects on estrogen and prolactin levels, but at this time there are no side effects reported with DAA use. DAA is a natural amino acid found in our food supply and produced by the body making it a great tool to naturally increase healthy males’ testosterone production. This substance exhibits antitumor activity, detoxification, anti-radical and - very important for athletes - anti-estrogen. Indole-3-carbinol is reduced estrogenic activity, and thus its use can contribute to improved body composition. Exhibits revitalizing, energizing and helps retard the development of symptoms of fatigue. Also attributed to the plant's ability to increase the body's resistance to physical and mental overload and relieve stress and its effects. Maca is also recommended in the use of natural medicine for people suffering from depression. Maca is also a well known aphrodisiac, improves sexual function. Vitamin D in the human body is traditionally classified as vitamins, but they act as a prohormone, as a result of metabolic transformations produced biologically active form - 1α, 25 dihydroxycholecalciferol. Also has a positive effect on the muscular and nervous, immune and bone! Capsule (gelatine), anti-caking agent: magnesium stearate. The recommended daily allowance is 4 capsules. Take 2 capsules 2 times a day with plenty of water or one serving of 4 capsules in the evening. Warnings: The product is intended for adults. Do not exceed the recommended daily servings. Do not use in case of hypersensitivity to any of its ingredients. Do not use a dietary supplement after the date of minimum durability. Expiration date is located on the side of the package. Food supplements should not be used as a substitute for diet diversity. It is recommended that a balanced diet and healthy lifestyle.